After playing junior with Winnipeg Monarchs and with the NCAA champion University of Denver, and playing pro hockey briefly, Greg Lacomy returned to Winnipeg to carve out an impressive coaching career. He began with CUAC juveniles where his teams won two provincial championships. 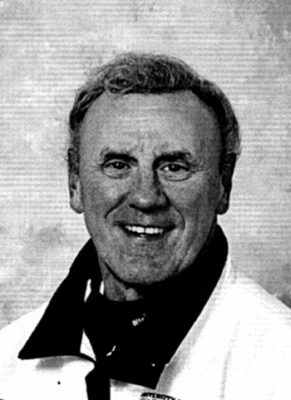 He coached Manitoba's Air Canada Cup midget representatives, MNS Stars in 1980-81 and 84-85, and Winnipeg Hawks in 91-92. He also coached the bantam Hawks in the Purolator Challenge Cup in 1989-90 when he was MAHA coach of the year. Lacomy coached Manitoba under-17 men's teams three times and the women's team at the 1995 Canada Winter Games. In addition he coached at the U of Manitoba for 12 years. Among those crediting Lacomy with guiding them in hockey and in life are former NHL players Brad Chartrand and Karl Friesen and one of his Kildonan North Star juniors, Chris Walby.